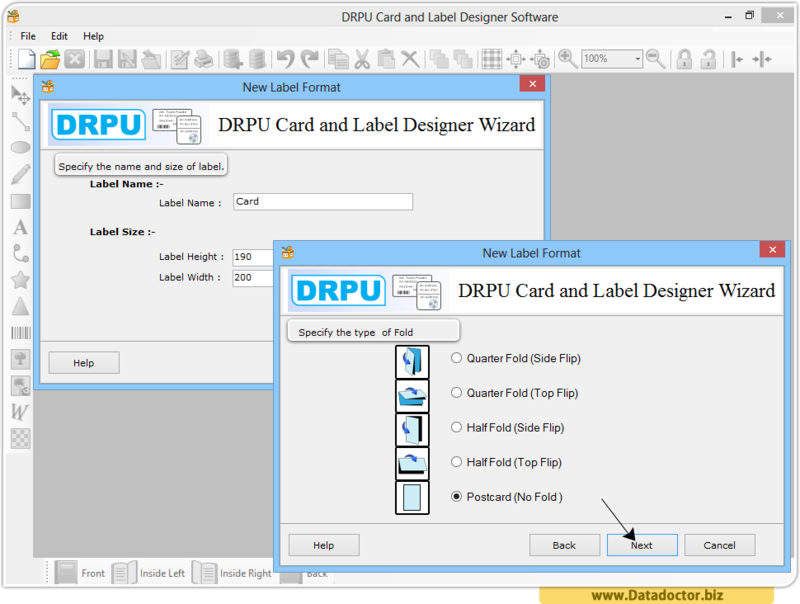 Card and Label Designing Software provides useful help in various business sectors including Airlines, Warehousing, Retails, Telecom, Automobile and other similar small to large size business sectors. 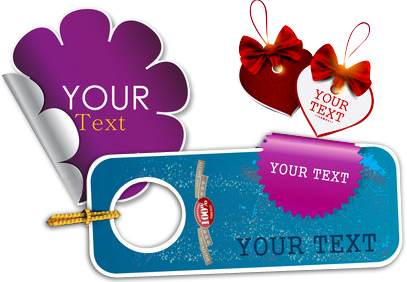 Business cards and similarly design and prints Address labels, Shipping labels, Tickets, Postcards and virtually any other type of label or cards. 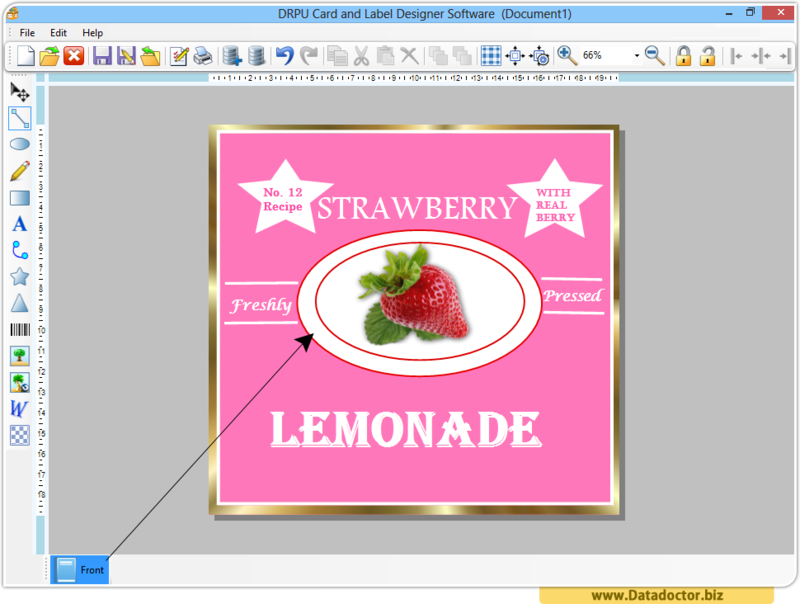 Label maker software is useful to generate attractive business friendly labels without any expert help or advice. 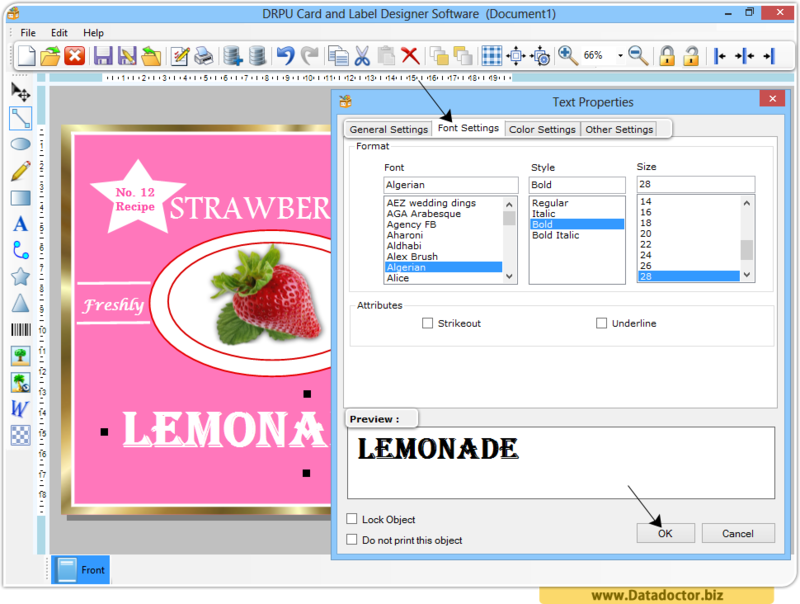 You can see designed card using Card and Label maker software in below screen. How to Design Cards and Labels? 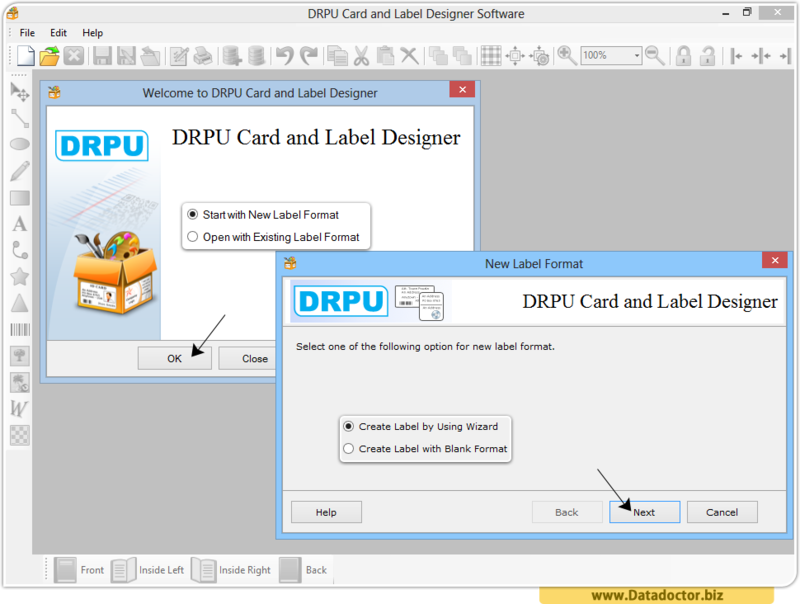 After installation, run drpu card and label software and choose any one option to proceed. 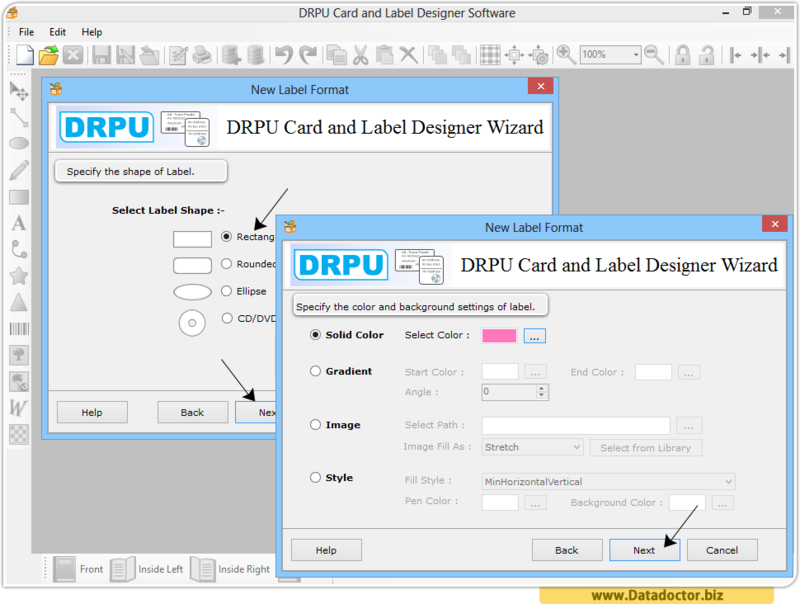 Specify your label name, label size and type of folds which you want to. 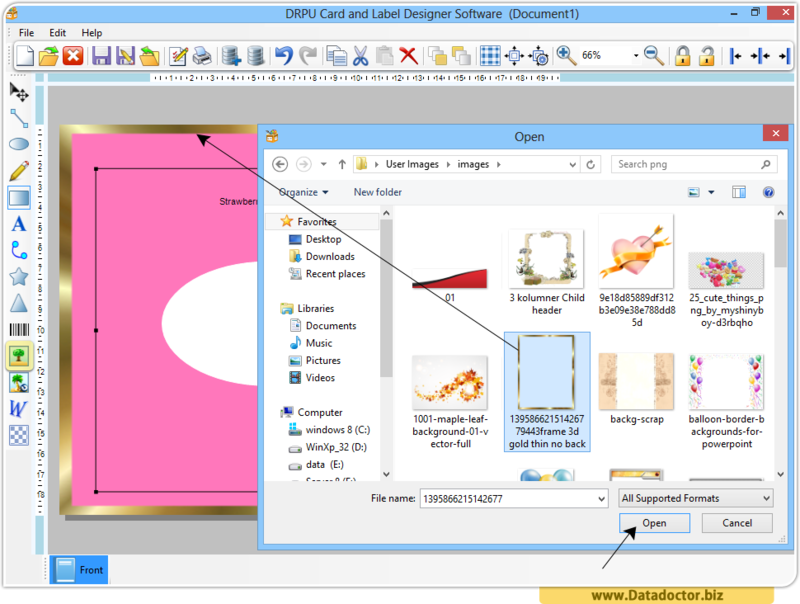 In above screen, you can add required image from your PC to design labels. And finally, use text properties to use different font style and color to design your cards and click on OK button. 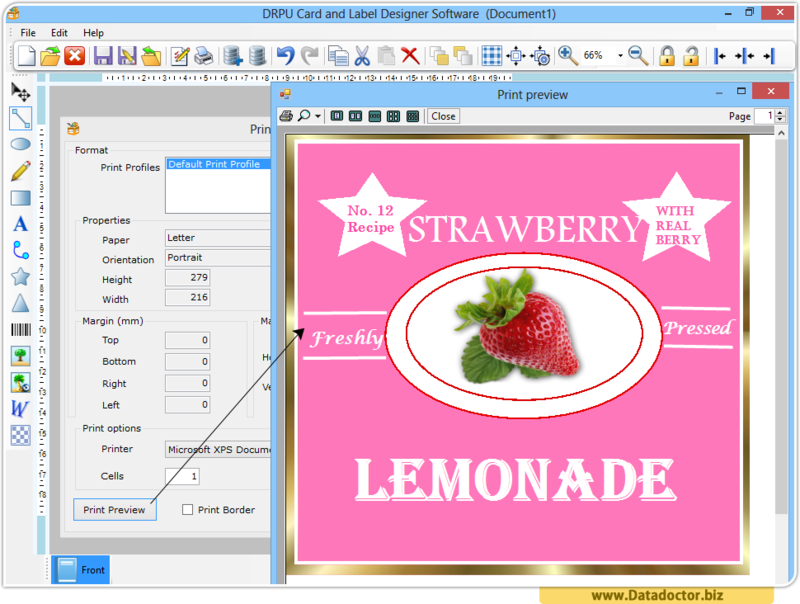 You can see print preview before printing your designed card.